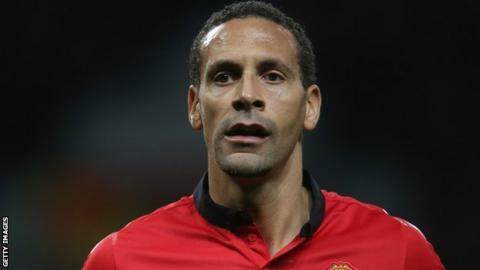 Rio Ferdinand wants to be part of Manchester United's plans next year regardless of who is manager. The defender, 35, is out of contract at the end of the season and has been tipped to leave the club. Ferdinand made nine league starts under sacked manager David Moyes but interim boss Ryan Giggs gave him a first start in a month in the 4-0 win over Norwich. "I'm going to continue playing," he said. "Whether it's here, I don't know. But I hope so." Ferdinand, who moved to Old Trafford from Leeds 12 years ago, has also recently admitted he is "embarrassed" by United's league position this year. United lie seventh, six points behind sixth-placed Tottenham with a game in hand, after the weekend. "I've not looked at the table for ages because you don't want to," said Ferdinand. "It's embarrassing. You don't want to look and see where we are." Despite having rarely featured this season, Ferdinand accepts the whole squad share the blame for their disappointing season. "That's down to us as players," said the former England captain. "We take responsibility for that as much as anyone else. "We are where we are. We are not shirkers and we are not people who don't take responsibility." Ferdinand admitted being frustrated by his lack of opportunities under Moyes, but conceded: "That's part and parcel of the game and you have to accept decisions that are made. "Some managers play you, some don't. Managers have their personal preferences, but just as a whole and looking from a team perspective, we are not where we want to be and that's disappointing."